For many years historians of the Cuban missile crisis have concentrated on those thirteen days in October 1962 when the world teetered on the brink of nuclear war. Mark White's study adds an equally intense scrutiny of the causes and consequences of the crisis. 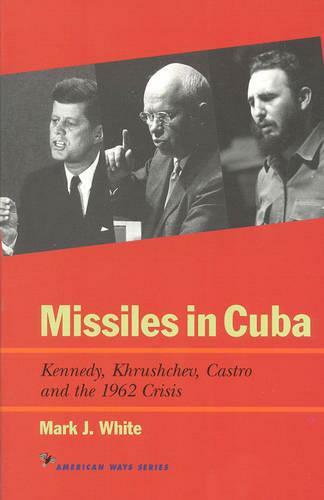 Missiles in Cuba is based on up-to-date scholarship as well as Mr. White's own findings in National Security Archive materials, Kennedy Library tapes of ExComm meetings, and correspondence between Soviet officials in Washington and Havana-all newly released. His more rounded picture gives us a much clearer understanding of the policy strategies pursued by the United States and the Soviet Union (and, to a lesser extent, Cuba) that brought on the crisis. His almost hour-by-hour account of the confrontation itself also destroys some venerable myths, such as the unique initiatives attributed to Robert Kennedy. And his assessment of the consequences of the crisis points to salutary effects on Soviet-American relation and on U.S. nuclear defense strategy, but questionable influences on Soviet defense spending and on Washington's perception of its talents for "crisis management," later tested in Vietnam.